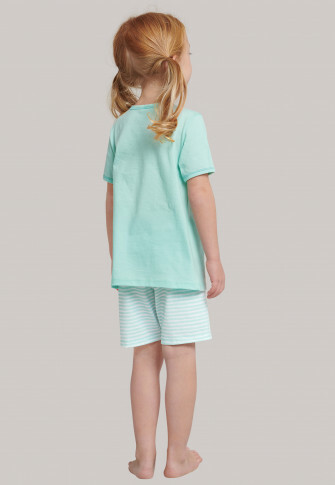 Exciting excursions into the land of dreams are guaranteed with these short pajamas for girls! Everybody´s favorite curious pony Flocke decorates the front of these mint green pajamas, and is sure to bring a smile to her face with its pink and white accents. 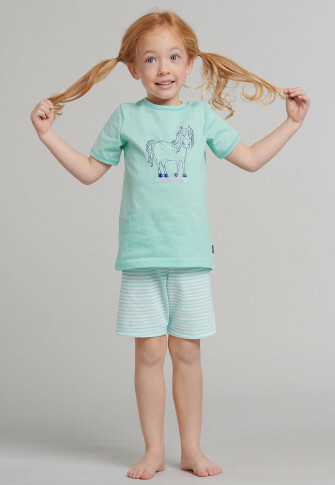 Together with the striped short pants made of 100% cotton and in the best SCHIESSER quality, this two-piece set is cuddly soft and wonderfully comfortable as well - just the right sleepwear for little horse friends!